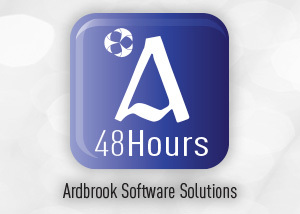 48 Hours gives the average hours worked in a seven day period over four months. This payroll data may be kept for as long as is deemed necessary. With the aid of a “Calendar Function” a designated user may interrogate the database to look for information with respect to a particular day or period either in total or for a particular job or cost centre. This is our latest software package designed for companies to manage the requirements of the “Working Time Act 1997”. The payroll system records all hours worked, all breaks taken, holidays taken, all absences, and ensures that the company and it’s employees are in adherence to the Act. The payroll system allows for an unlimited number of employees, unlimited cost centres with a maximum of ten for any one employee and up to ten pay rates per employee per cost centre. All breaks, event and cost centre codes / descriptions are user-definable. The HR software is written in VB.NET with a SQL Server back-end database. At present all such data is entered manually, not unlike the timesheet entry routines that exist within EuroPay, our high-end payroll package. However, through the use of employee profiles, data entry is semi-automated, requiring data entry by exception only. In addition, data from 48 Hours may be flushed to EuroPay for payroll calculation purposes, negating the requirement to key data directly into the payroll. 48 Hours and EuroPay are very much a double act!